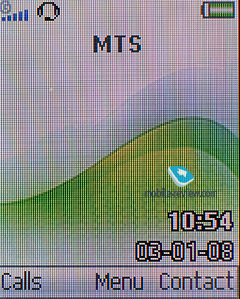 The whole story about radio-centric phones didn't spark up yesterday - in fact it all began way back in 2002-2003. 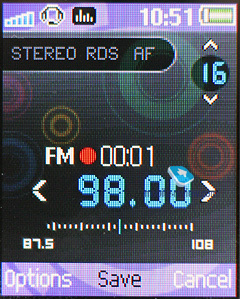 At that time the mobile industry was only getting the taste of entertainment features, and naturally radio was one of them (although not a major one). 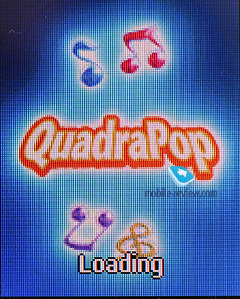 It seemed more like an appealing addition to a capable music player, rather than a stand-alone feature. 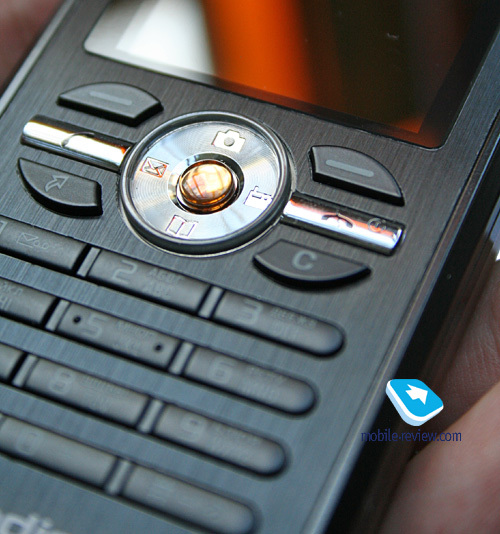 Notwithstanding, in 2004 Nokia rolled out a phone equipped with radio and a distinctive youthful appeal - the Nokia 2300. 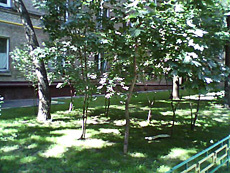 Actually, it was one of the first handsets officially announced in Russia, so my memories of it are still strong, especially of Nokia's pompous sales plan. But later that year it became particularly clear that they weren't going to make it - retailing for 160-170 USD, the Nokia 2300 wasn't exactly all the rage among teenagers. 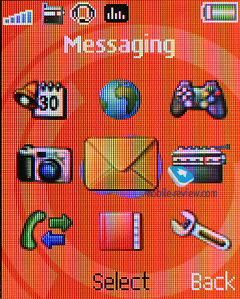 As a rule, consumers ditched its radio department in order to get a phone with a color display (it's important to realize that this feat was probably one of the major selling points back then) and some other more useful features. Shortly after that Nokia grew cold to the concept of radio-minded phones. 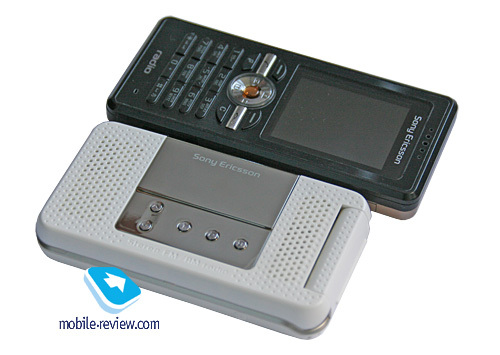 Now in 2008 Sony Ericsson are about to enter the same waters, bringing two phones to the table - the R300 and R306, both optimized for best radio experience. 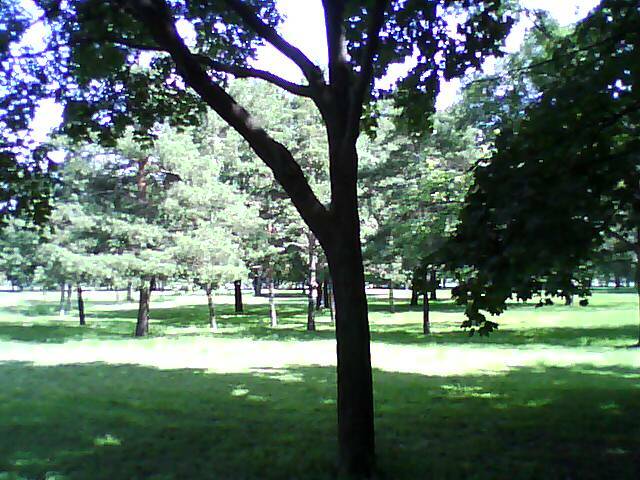 However, they are fighting against long odds here, given that up until today the radio department has never been in the spotlight and served more as a makeweight. 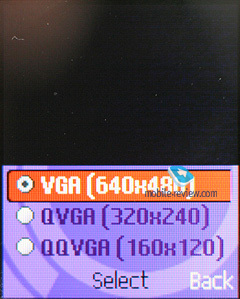 So, what is Sony Ericsson counting on, and whose needs are they going to cater with the R300? 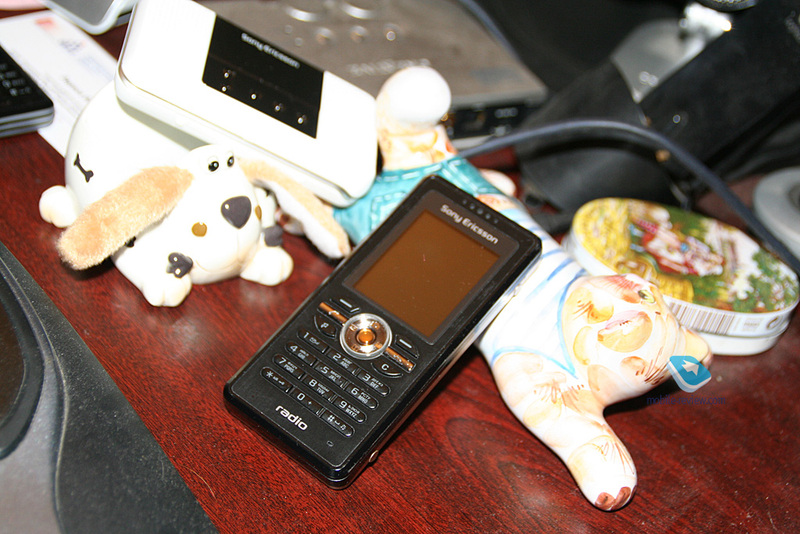 Radio aside, the R300 turns out to be a refurbished version of another low-end solution, the Sony Ericsson T280i. 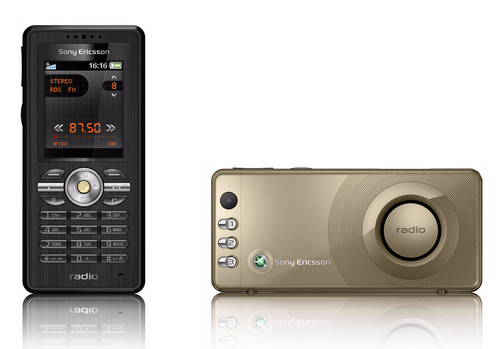 But while the latter's aim is the mass market, the R300 has been designed to beef up Sony Ericsson's portfolio. 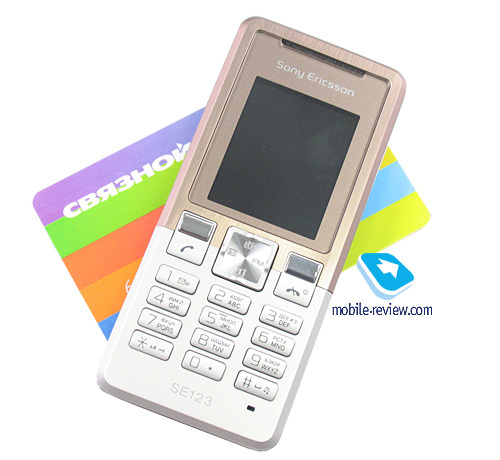 With that said, the Sony Ericsson R300's positioning won't take a rocket scientist to figure out - for the most part, it looks to appeal to young people, sweet on radio, but with no money to buy a handset armed with a decent MP3-player. Or those who simply don't want to get a more able handset from a second-tier manufacturer. As you might have already noticed, this profile feels a little bit too far-fetched - effectively, such an audience doesn't even exist anywhere, but in the imagination of market analysts. That said, the R300 will have to live off sporadic purchases revolving more around its quirky design. 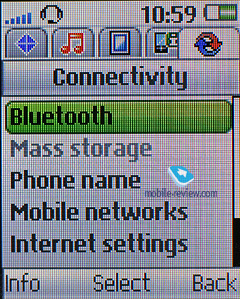 The bitter truth they will have to face is that there is no shortage of radio-equipped phones these days, furthermore, radio can no longer match mp3 tracks in terms of entertainment value - this has already been proven by Apple and their iPods that have no radio on board, but still manage to sell in droves across the globe. No matter how you look at it, radio has never been treated as the primary feature - very few actually use on a regular basis. The R300 is available in a choice of two colors - Antique Copper, Steel Black. 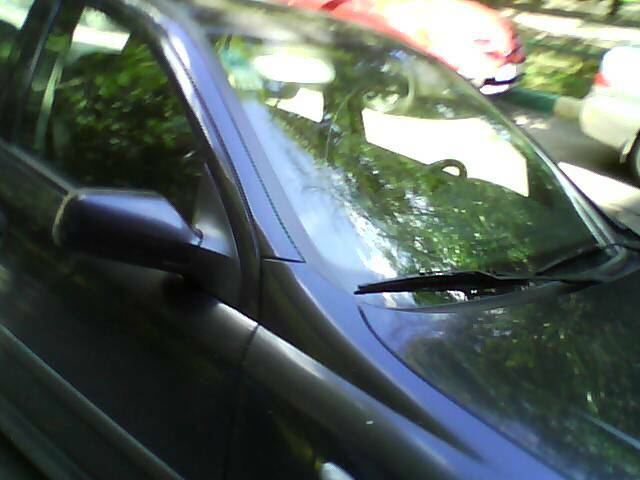 Don't get fooled by the way these trims are named, though; the thing is, the former features black front and bronze rear, whereas it's the Steel Black edition that has its rear painted in black and the front fascia is white. 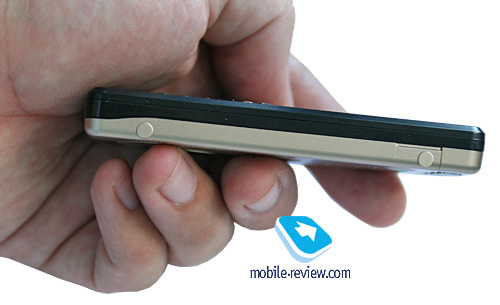 The phone is pretty palm-friendly (just like most other entry-level solutions, though) at 101x46x12 mm and 75 grams. It also has got a lanyard eyelet, but I doubt many will use it. 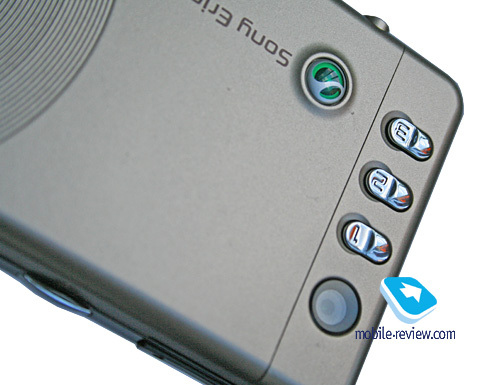 The R300's front fascia is a standard Sony Ericsson fare - textured plastic with metal-esque coating with a very minimalist feeling to it. 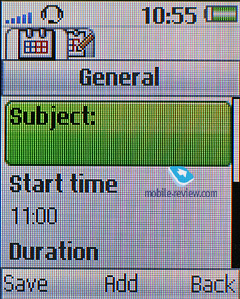 Flip the phone over to find the highlight of the entire phone - a huge loudspeaker (apparently, bundled for listening to the radio in speakerphone mode). 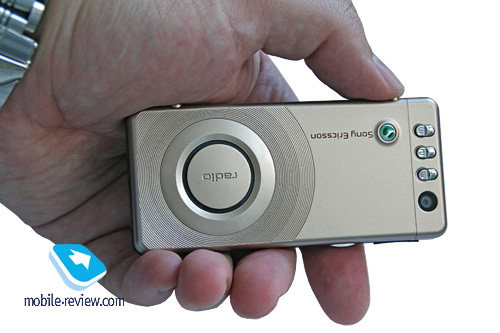 For some reason Sony Ericsson claim that it's a "stereo-speaker", but to my mind it's more of a catchy phrase they are reluctant to dump. 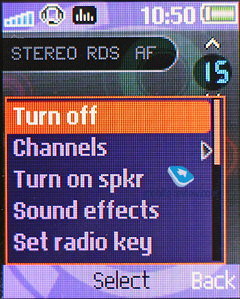 Also there are three radio controls and a VGA camera lens. 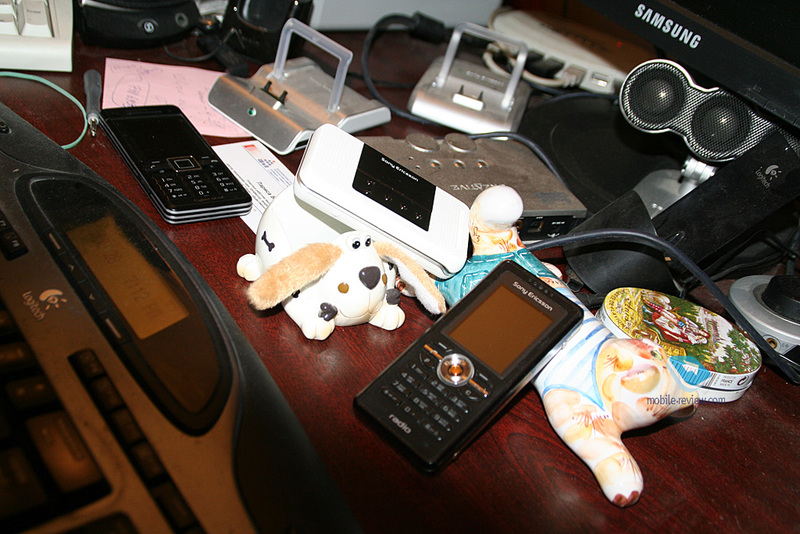 Housed on the left is the volume rocker, which is quite uncommon among budget phones. Also here is the dedicated radio key and Fast Port connector. 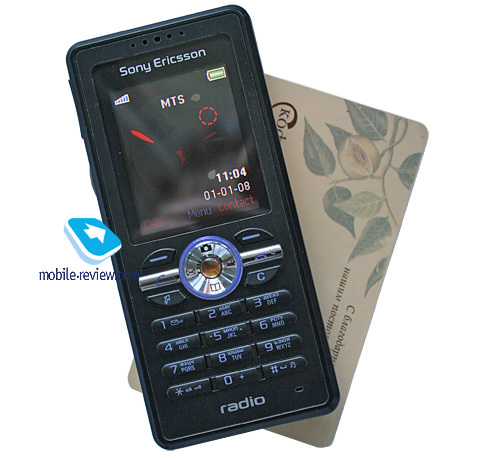 The Sony Ericsson R300 feels very sturdy, plus it has a nice mix of materials for the price bracket it's positioned at. Against the backdrop of other lackluster entry-level solutions, it looks like a clear winner. 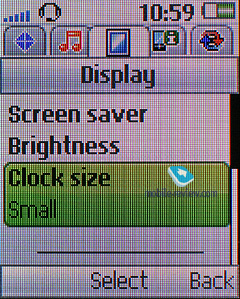 The R300 employs the smallest display resolution possible - 128x160 pixels and a 1.8-inch diagonal (28x35 mm, 65 K colors, TFT). 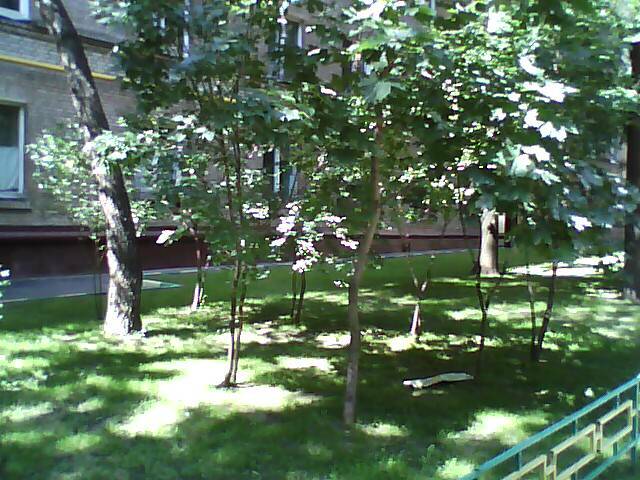 Obviously, in view of such a poor spec sheet, it'd be na?ve to expect stellar picture quality from this phone; in fact its adequate brightness level already makes us pretty happy. 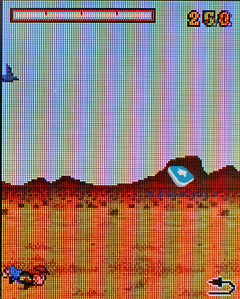 Needless to say, the R300's screen gets extremely washed out when exposed to direct sunlight. 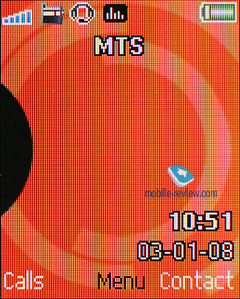 The screen can accommodate up to 8 text and 3 service lines with fairly small fonts in most modes. 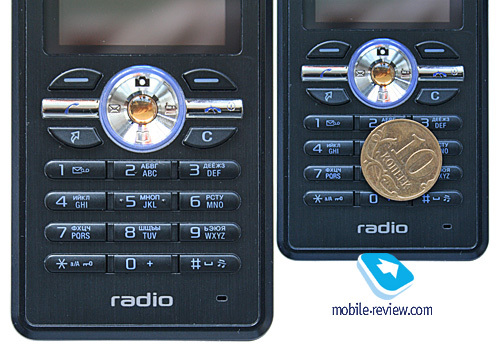 The R300's numberpad features small plasticky buttons that are a snap to use nonetheless. 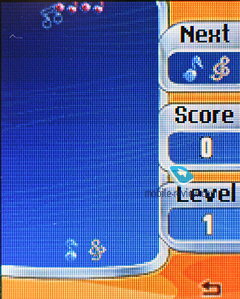 On top of that, its blue backlight makes all markings visible in most environments. 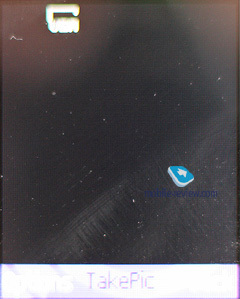 The navi-pad's directional keys double as shortcuts to the radio, camera, phonebook and messaging applications (as indicated by the symbols engraved on it). Surrounding the navigation key is a plastic insert glowing in blue. 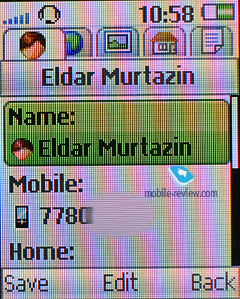 Unlike the Sony Ericsson W302, this phone can multitask, although there are some restrictions (only one Java application in the background is allowed). 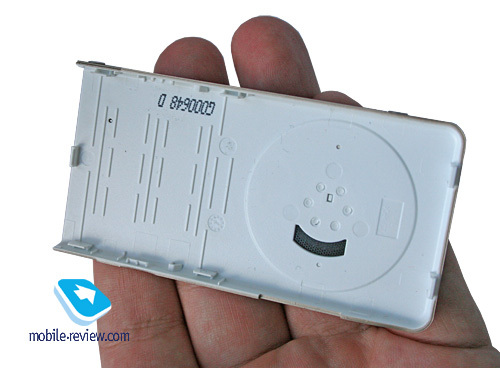 The R300's battery compartment cover is pretty tight, yet easy to open. Sitting underneath is a 930 mAh Li-Pol battery (BST-38), rated for up to 410 hours of standby and 9 hours of talk time. 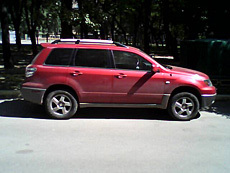 In Moscow the R300's battery time averaged 3.5 days with average use (up to one hour of calls and around 4 hours of radio). 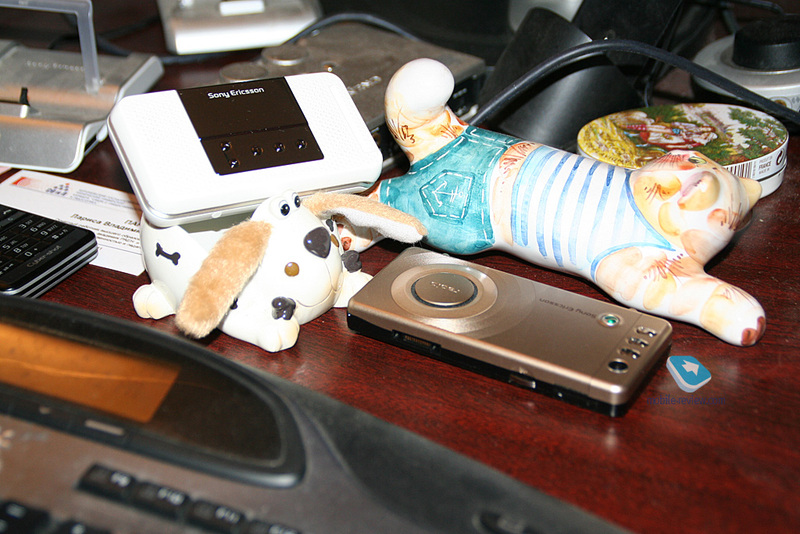 The phone can play music for up to 27 hours straight (or 7 hours in speakerphone mode). It takes the phone around 2 hours to charge from empty to full. 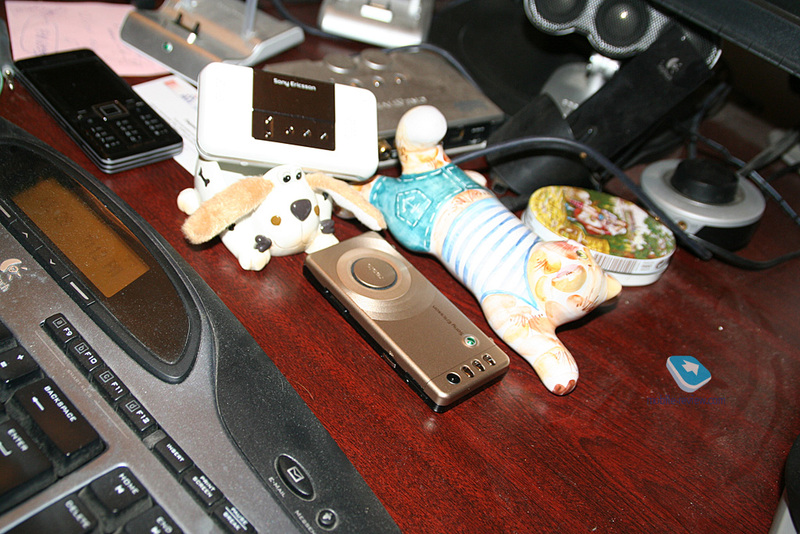 Once you have hooked up the R300 with a PC over USB (ver. 1.1), all you will be able to do is recharge it and use as a Mass Storage device - no other options, such as Modem or Media sync are available. The R300 comes with around 8 Mb of user-manageable memory and no memory expansion slot, meaning that the user will be stuck with this paltry storage. The R300 proved to be a pretty speedy device; we didn't run into any freeze-ups or major hiccups in its software. 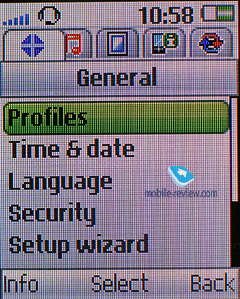 The handset comes equipped with a very basic VGA camera that sports a bunch of extra settings, but there is no way we can be serious when reviewing it (although Nokia too is known to embed VGA units into some of its entry-level solutions), especially since 8 Mpix snappers are on their way to the market. 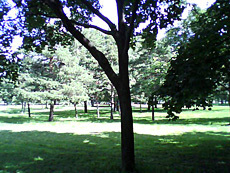 The R300's camera doesn't support video recording. 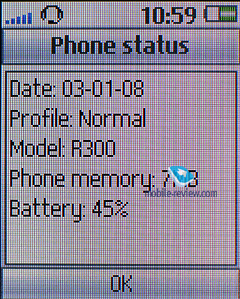 While the handset's interface is a close sibling to that found on other Sony Ericsson branded phones with its three-button layout, the R300 can't multitask (although you can have one Java application running in the background) and offers only one main menu view (a grid). 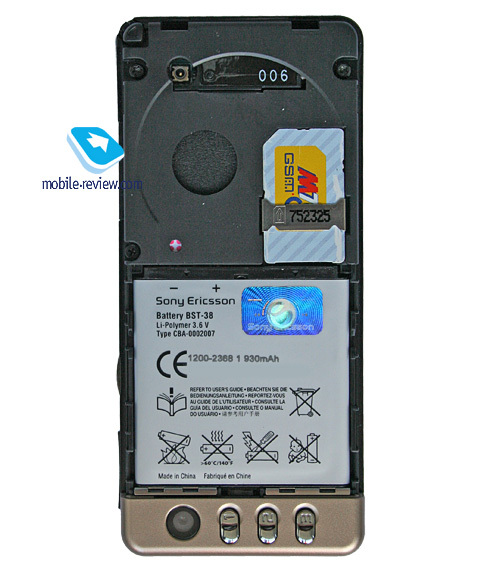 Much like the W302, the Sony Ericsson R300 utilizes A050 platform, although it has been slightly tweaked in more than one way. 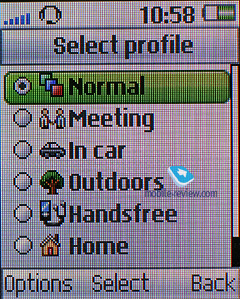 Phonebook.You can run a first-letter search in the phonebook. 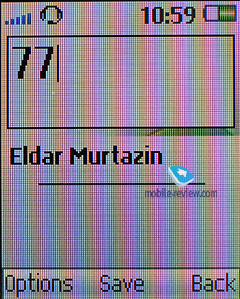 When hovering over a contact you will see its default number, pushing the navigation key left and right will scroll through other phone numbers assigned to it. You can submit as many as 500 entries. 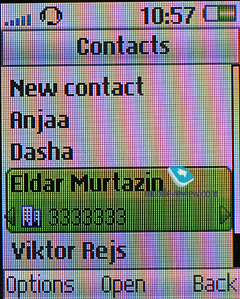 When submitting a new contact, you will be offered only one field - Name. 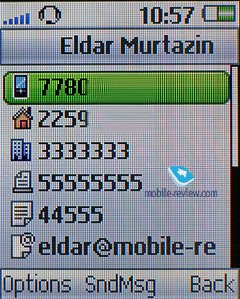 You can throw up to five numbers into any entry, all fields are hardwired into phone, these are Home, Mobile, Work, Fax and Other; so you won't be able to have two Mobile numbers. Extra fields include one email addresses, one web site link, picture, personal tune, company name and a custom message alert. The good thing about the R300 is that you can set up an automatic reminder in the calendar when submitting a birthday date. 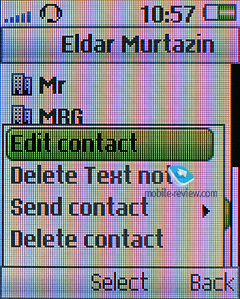 The R300's contact groups can serve only for bulk mailing purposes - you won't be able to set a picture or ring tone for them. 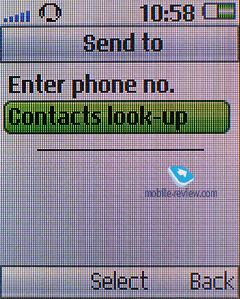 Also there is the Smart Search feature that makes the phone look in the contact list for phone numbers you type while at the standby screen. Messaging. 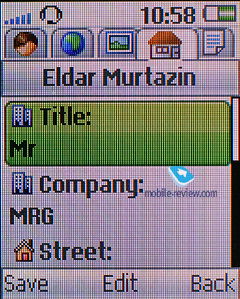 The R300's messaging interface couldn't be simpler, furthermore, there are almost no extra settings, and basically the only thing you can do with it is format text (EMS). 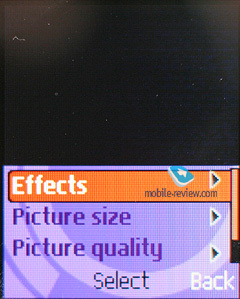 The phone also allows for a couple of customizable templates. 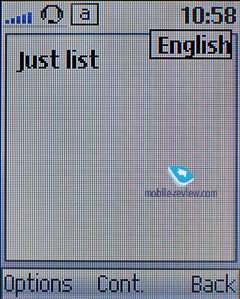 The predictive text input system from Zi Corporation offers a couple of word options at a time in a drop-down list. 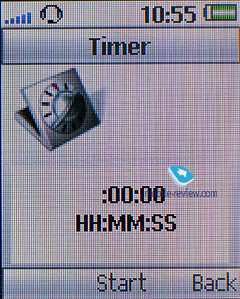 The MMS editor is nothing to write home about. 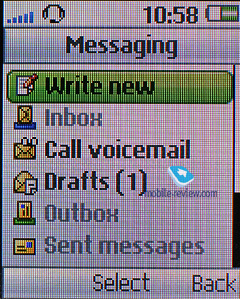 On balance, the R300's messaging department is very much in line with that found in A100-powered phones. Call list. The general list contains up to 30 entries with special notes on call's date and time. 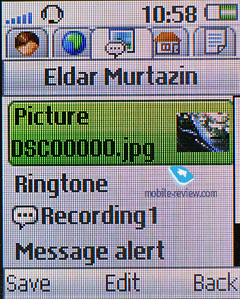 Standing next to every entry is a thumbnail indicating call type (missed, incoming, outgoing). 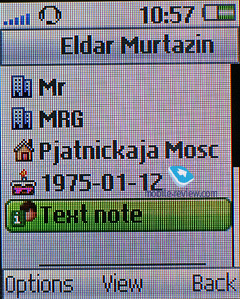 Apart from that, the list also houses some extra icons, such as those showing whether the phone number in question is stored in the handset's memory or SIM card. 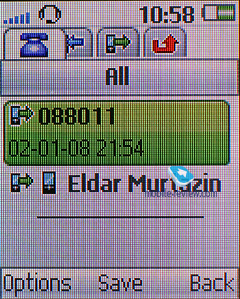 You can check out missed calls in a separate list (up to 10 entries). 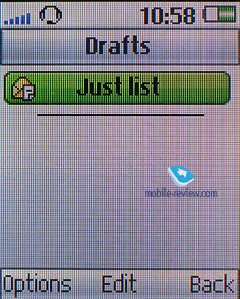 All call lists are organized in a couple of tabs, which save a lot of time as far as navigation goes. 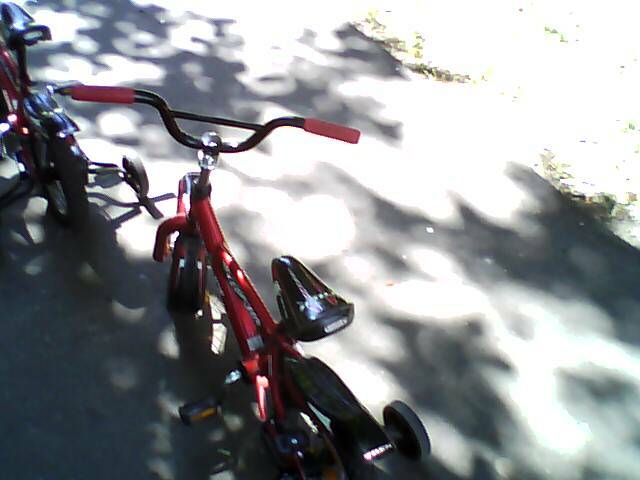 Entertainment. 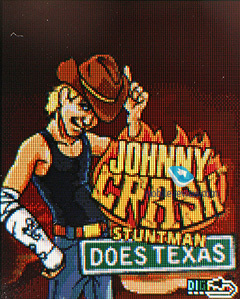 This section features a couple of games (JC Does Texas, QuadraPop), TrackID service, and the voice recorder without any clip length restrictions (although you won't be able to squeeze much into the phone's tiny 8 Mb storage anyway). 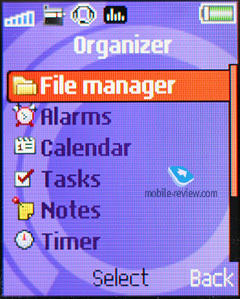 Organizer. 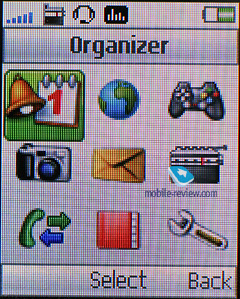 The Organizer menu has got a lot of functions underneath. Let's get Calendar out of the way first. 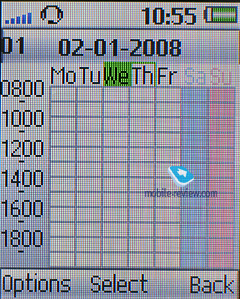 There are three view modes embedded in the R300's calendar: weekly, monthly and daily. 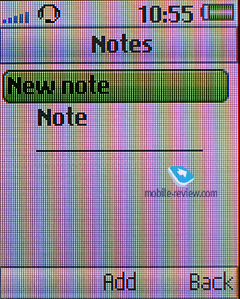 The last option displays the list of all events and memos, in two others you will see highlighted time or day. 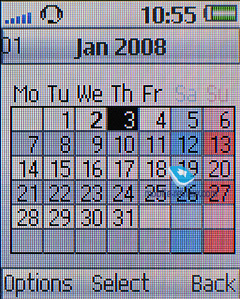 You can also switch to any day and year, or month, everything is pretty straightforward, just as the schedule input is. You can name an event, define the place where it is set to take place, adjust its length and setup a reminder (before or right at the start of the event). Recurrent events support is also onboard. Types of reoccurrence: daily, monthly, yearly. 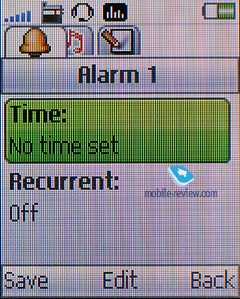 Reminders work even if the phone is turned off as well, unless you disable this function. 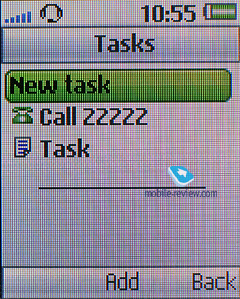 Tasks - nothing to write home about here, you can either make text or voice memos. 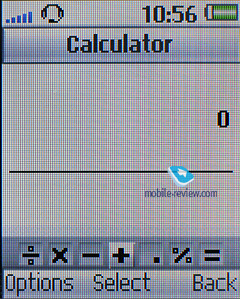 The calculator is thin on features as well. 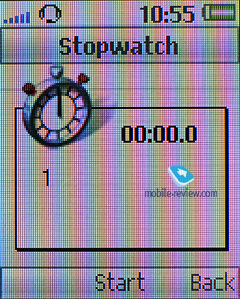 The countdown timer and stopwatch are both pretty standard. 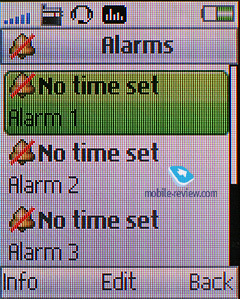 Alarm clock - you can have up to 5 fully-customized alarms. 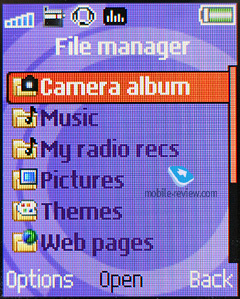 File manager - the R300 ships with a very basic file manager, but since it doesn't support memory cards, there is not much use in a file manager anyway. WAP. 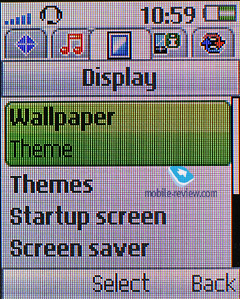 The phone comes preinstalled with a no-frills NetFront browser that allows resizing webpages, so that they will fit the screen size. 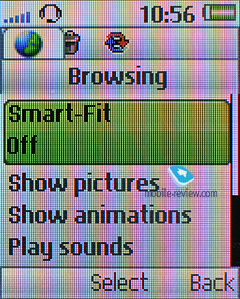 All in all, this browser is a standard Sony Ericsson fare. Settings. 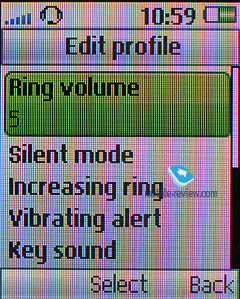 The number of available options has significantly decreased as compared to any A100-powered handsets - there are some themes in the R300, but nothing special about them and you can't upload new ones; sound themes aren't customizable either, and on top of that, the Settings menu is the only place you can switch your current sound profile from. At last we have come to the R300's bread and butter department. 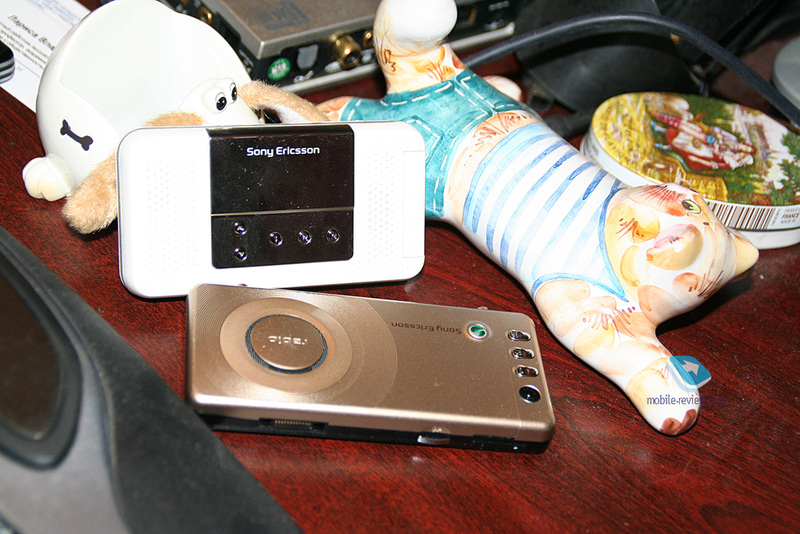 Apart from FM frequencies, the phone can also tap into AM stations, but it's still unclear who will actually use it. In my opinion it will end up overlooked in most regions. As far as the R300's shortcomings go, it can only store up to 20 FM stations in the memory; but this limitation is not bad in itself. 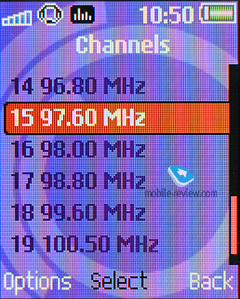 The most unpleasant thing about all this is that now that Sony Ericsson have kicked up the phone's radio sensitivity a tiny bit, it can tune in to more stations, so we used up this smallish capacity way before reaching 100 Mhz frequency. 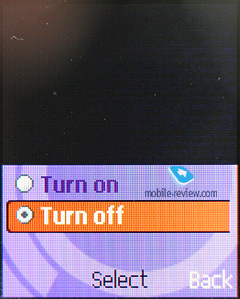 I suppose you'd agree that in view of the handset's focus, such a restriction looks somewhat odd. 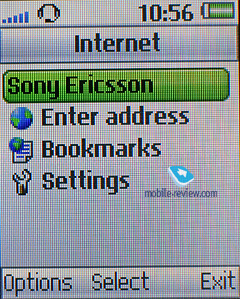 The phone comes armed with RDS functionality, just like most other Sony Ericsson branded solutions do, though. 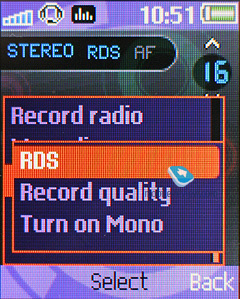 Plus it can record radio broadcast (this ability is enabled only for select markets), but it's not particularly clear why would someone need this feat here, given how little memory the R300 ships with. 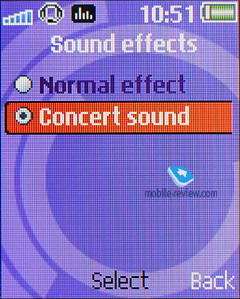 Using the side-mounted key or via the menu you can apply the Concert effect that will make the sound a bit more punchy. 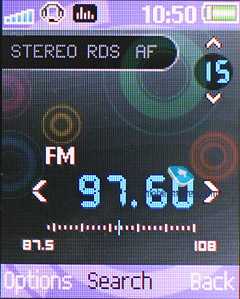 The radio application can also run in background. 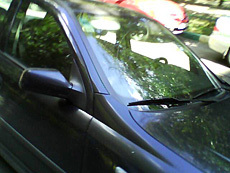 As far as the radio controls on the back are concerned, you can bind them both to AM and FM frequencies. 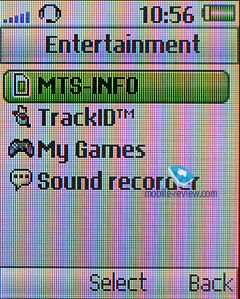 We encountered no hiccups with TrackID either - it helped us identify previously unknown tracks. 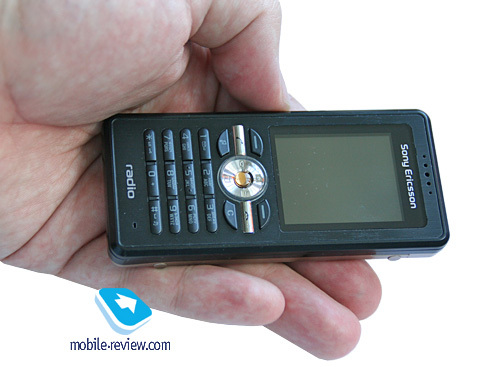 All up, the R300's radio quality and sound volume are very much in line with other Sony Ericsson's offerings; furthermore, it falls short of UIQ-powered smartphones on this front. So, realistically, this phone isn't much of a revelation in terms of radio experience. 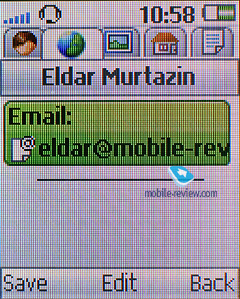 Reception quality was never an issue with the R300 - it never dropped off signal in areas with solid reception. 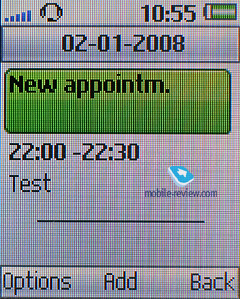 Our only niggle is with its radio application - occasionally, when we attempted to switch into AM mode, it crashed and made the phone reboot. Unfortunately, we couldn't figure out why it was doing that. 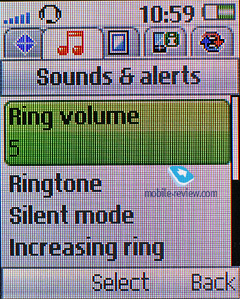 Ring tones sounded pretty clear and were above average in terms of volume; the vibrating alarm was of moderate strength. 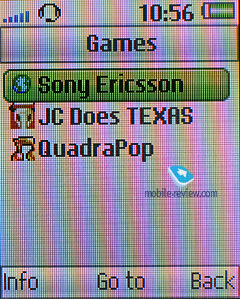 Surprisingly, the Sony Ericsson R300 faces no direct competition, apparently because no other company puts radio functionality to the front. 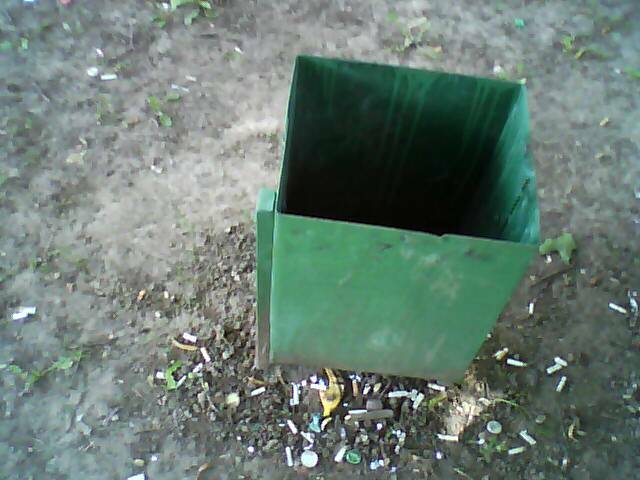 Will it benefit from this quaint way of positioning? Maybe, but it won't be a big deal anyway. 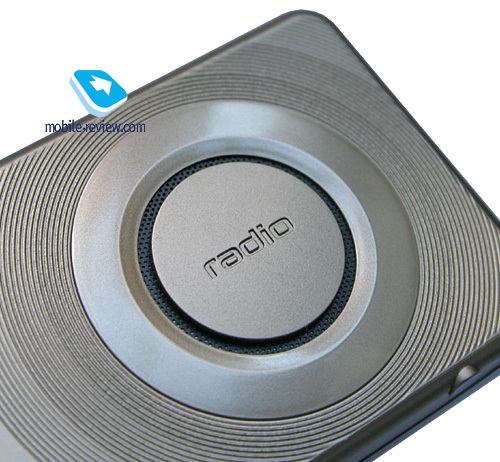 The R300's major trumps are a well-build casing and likable design that will be much more compelling arguments than its odd radio department. 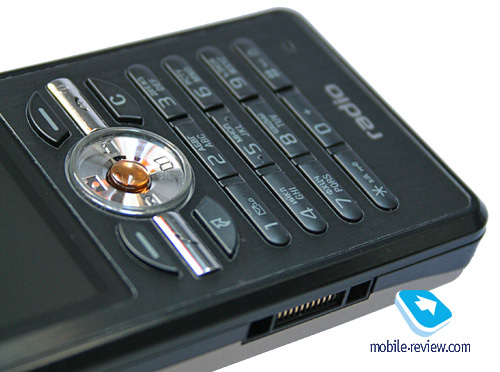 Retailing for around 100 Euro, this phone isn't the cheapest offering we have seen. In this sense it will be rivaled by the Samsung F250 that comes equipped with a comparable display, however it benefits from a memory expansion slot, a wider array of features and, of course, radio functionality. In case you are so into radio broadcasts Nokia can offer a bunch of low-end solutions too, such as the 2600 Classic (75 Euro), Nokia 2630 (70 Euro). And as you probably know, the difference of 25-35 Euro is huge for some entry-level phones, and the R300 can hardly make up for this gap even with its pretty appealing design (which is hobbled by its unsophisticated form-factor, though). 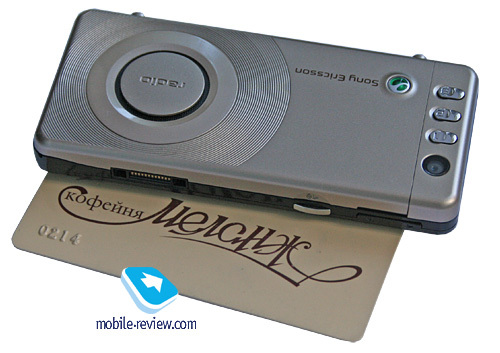 Regrettably, this recipe is becoming par for the course for Sony Ericsson's latest and greatest offerings - neat designs come with overly hefty price tags. 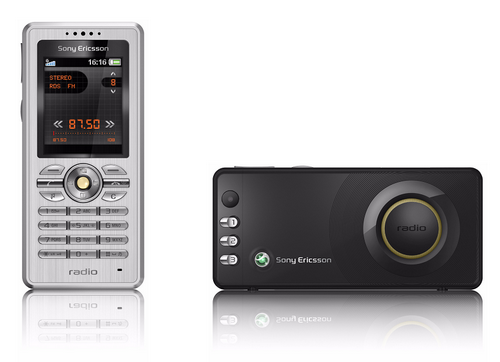 On the other hand, the senior phone in this line-up, the Sony Ericsson R306 seems like a better way to go for radio junkies out there, for it ships with a 1.3 Mpix camera, outer display and is only 15 Euro steeper.